Did you make it to the 2017 list of most influential Diasporans? Kenyans in the Diaspora are always treated as ‘others’ until such a time when they win a major award, à la Lupita Nyongo. This norm is fast changing with more Kenyans domiciled abroad being more pro-active in every facet of Kenya’s dynamics-from politics, entertainment to whatever you fancy and leaving a mark in their host countries. We take a look at the 20 Kenyans who have excelled in different fields in 2017. A renowned geographer at Bowling Green State University is shattering glass ceilings, thanks to his exemplary service to Kenyans students in the diaspora. He is the Director of Global Village Learning Community, a program that brings together American and international students at the University. He has a number of projects under his belt including the Kenya Scholars and Studies Association (KESSA) which is the premium association for academics outside of Kenya. His immense contribution to the geography society has put him on the map internationally through various fellowships including the Mandela Washington Fellowship for Young African Leaders. Through acts of community service, he has uplifted the lives of many. He is clearly lifting the Kenyan flag higher in his field. Zedekiah Lukoye, popularly referred to as Zeddie in the fashion fraternity, is the man behind lucrative menswear brand NAROK NYC. The Kenyan- born ,New York – based designer has worked with many celebrities including New York fashion mogul Alexander Nash, NBA player Chris McCullough and Rohan Marley just to mention a few. He was named 2016’s most stylish African in the Diaspora by Abryanz Style and Fashion Awards. With NAROK NYC having launched in Kenya in mid 2017, the sky is the limit for this top designer. Ms Lily Okech Richards is the founder of Kenyan Women in the USA ( KWITU), a non- governmental organization established in 2015. KWITU is aimed at connecting, empowering and supporting Kenyan women in the US and has gone to establish itself as a respected community. With a great online presence, the organization has managed to reach many. KWITU most remarkable project was a peace campaign during the divisive 2017 election period. One of Kenya’s biggest brains is clearly headed for the kill in the field of Science. Dr Njoroge, a senior research fellow at Eli Lilly and Company, he is credited for leading the team that discovered and managed to get approval of potential Hepatitis C drug Victrelis. He is the first African to be granted over 100 patents, talk about black excellence!The Us- based researcher was inducted to the scientific hall-of – fame in 2012 for his remarkable contribution to the world of medical research. She has become a darling of many courtesy of her incisive yet informative Facebook Live episodes on matters to do with health and relationships. Dr Pam Obare Mogaka interactive shows on social media has seen her earn legions of loyal fans. The straight shooting Pam is the brains behind the highly rated Diaspora Entertainment Awards & Recognition (DEAR). The annual event recognizes and awards Africans who have succeeded in various fields. The Dear Award founder also runs Kilimani Mum and Dads Diaspora Facebook Group where the most uncomfortable subjects are discussed. Business magnate David Karangu is without a doubt eating life with a big spoon but that was not always the case. Though known for his Ivory Chevrolet car dealership in Atlanta now, back when he moved to the USA, he took a job as a dishwasher. With a classic rags to riches story, the mogul now boasts a luxurious life courtesy of hardwork and brains. He is the the Kenyan actor taking over Hollywood by storm. His role on the series ‘ Start Up’ earned him a massive following in Kenya. The 1979 born actor has appeared in several productions including Twilight, Blacklist and House just to name a few. She is the founder and director of Aberdeen Fashion Week. The Uk- based fashion designer has won many accolades including the best runway event organizer at the 2017 International Runway Achievers Awards in Dublin, Ireland. She is also a mentor to young Kenyans in the fashion industry. Commonly known as Proud Chocolate, Terry is a mass communications graduate with years of experience in Kenyan production. She has worked with some of Kenya’s top television networks such as the Kenya Broadcasting Corporation ( KBC) , Kenya Television Network (KTN) and Royal Media Services. She is currently a host of African Heritage on Radio Germany. He is the half-Kenyan, half-Tanzanian former American idol contestant who wowed the judges with his gracious voice. At only 16 years old at the time, his rendition of Michael Jackson’s ‘Who’s Loving You’ earned him a large fanbase and judges approval. Those who have cared to watch George K Mbugua, the host of The Prudential Show, will agree with me that he is good at what he does. His Facebook Live Shows have grown in stature if his guests are anything to go by. Mwakilishi has established itself as the number one source of trusted news from the Diaspora. The blog covers local news and as well as news in the diaspora with objectivity. James Thairu-who doubles as the online news outlet writer and editor-, has done a good job in steering Mwakilishi from the toxic and obviously biased blogs out there. Kenya All Women & Children Organization (KAWACO) founder Gladys Mwango contribution to the vulnerable in rural Kenya is worth a mention. Through her organization, Mwango continues to empower women and children in Kisii and Nyamira counties. She founded KAWACO in April 2015. Joyce Maina has confessed that tragically losing her dad last year is something that affected her life and she’s struggling to get her life back. Taking to social media, the popular actress who lost her dad last year after a decomposed body found inside a car in a river in Embu was identified to be his, confessed that grief has been coming and going in her life, and that sometimes it really takes her away. “The thing I’ve come to learn about grief or grieving is that it’s not a constant thing or feeling. It’s more like a wave,” she posted. Police said that they found on his body cash estimated to be between Sh10,000- Sh20,000 and a mobile phone. The late Maina was a successful businessman dealing in horticulture and had different farms in Embu and Kirinyaga. 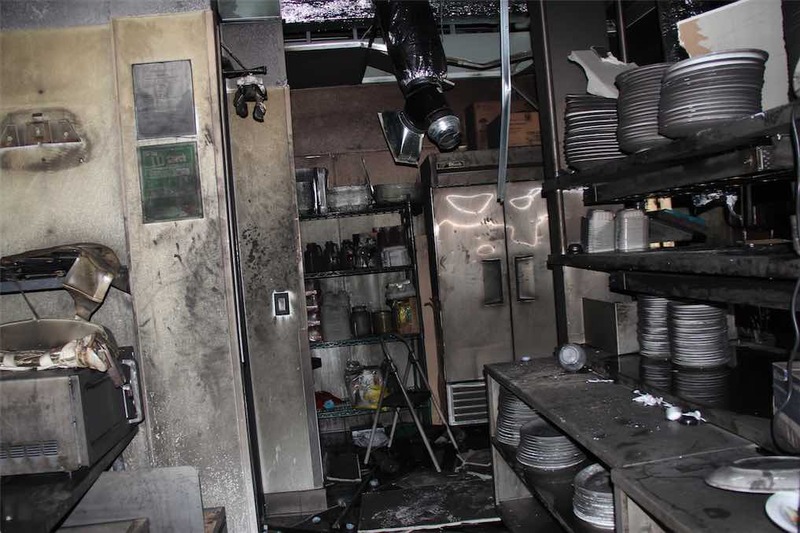 In the early morning hours of Monday, May 7, 2018, there was a fire outbreak in the Kitchen of Swahili Village Bar and Grill. The fire was put out shortly after and there were no injuries. 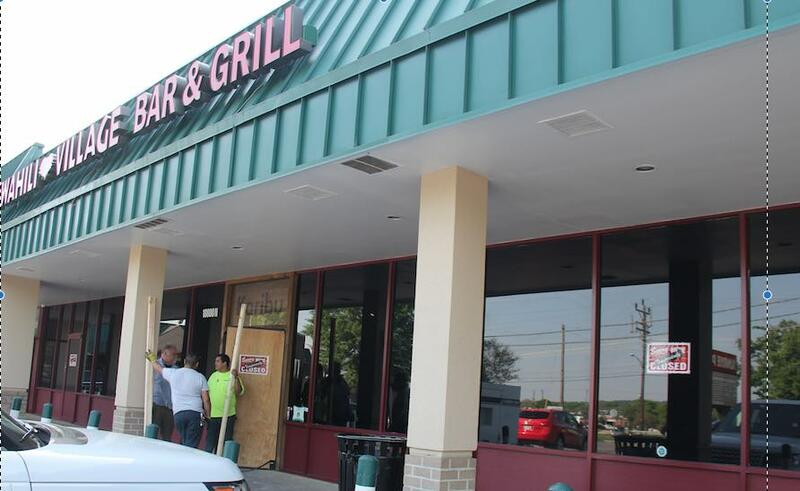 Due to the damage to the interior of the restaurant, Swahili Village bar and grill located at 10800 Rhode Island Avenue, Beltsville, Maryland will be closed until further notice. Following the incident, Mr Kevin Onyona, the restaurant proprietor wrote on Social media: “We hope to be up and running in the next two to three months. This is due to some substantial damages that will need to be repaired. Please continue to check on our social media pages for updates and news regarding the re-opening”. Swahili Village has been providing a much-needed fine dining experience of Kenyan cuisine in Beltsville. Beltsville, Maryland is a hub of major industry pioneers and government agencies like NASA, U.S. Department of Agriculture among others. Swahili Village’s clientele has grown to include a broad spectrum of ethnic cuisine enthusiasts from the African diplomatic missions, African diaspora and the general public with bookings for birthdays, weddings, anniversaries, and graduations celebrated in the mahogany wood finished interior with an elegant ambiance. This year Swahili Village is celebrating its nine-year anniversary since its inception in 2009. The new Swahili Village location, now in its second year, has been highly rated and positively reviewed on Yelp, Foursquare, Yellow Pages and a multitude of foodie sites. The Swahili Village team is looking forward to once again serving our customers and offering you the True Taste of Kenya that you as our loyal clients have grown to love. We appreciate the prompt response by the Prince Georges county emergency team which includes the Prince Georges County Police Department and the Beltsville Fire Department. A huge thank you goes to our well wishers for your support as we work towards reopening.